Eric Hoffer was an American social writer and philosopher. He produced ten books and was awarded the Presidential Medal of Freedom in February 1983 by President of the United States Ronald Reagan. His first book, The True Believer, published in 1951, was widely recognized as a classic, receiving critical acclaim from both scholars and laymen, although Hoffer believed that his book The Ordeal of Change was his finest work. 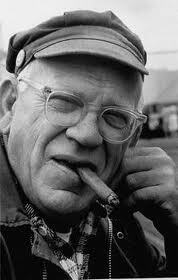 In 2001, the Eric Hoffer Award was established in his honor with permission granted by the Eric Hoffer Estate in 2005. The well-adjusted make poor prophets. Jesus was not a Christian, nor was Marx a Marxist.